Greenacres TLC offer a lawn cutting service either on a “one off” or on a fully maintained basis. In the Summer we offer a 7-10 day cutting service and in the Winter a 14-20 day cutting service, with regular reviews. We can advise and treat your lawn to remove moss and weeds, as well as scarifying the grass to ensure that your garden always looks its very best. 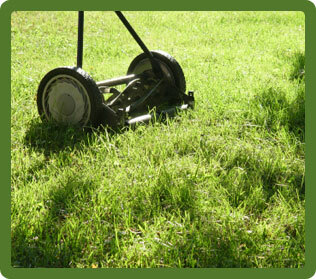 In addition to lawn cutting, we offer edge trimming / strimming ensuring that the edges always are neat and tidy.